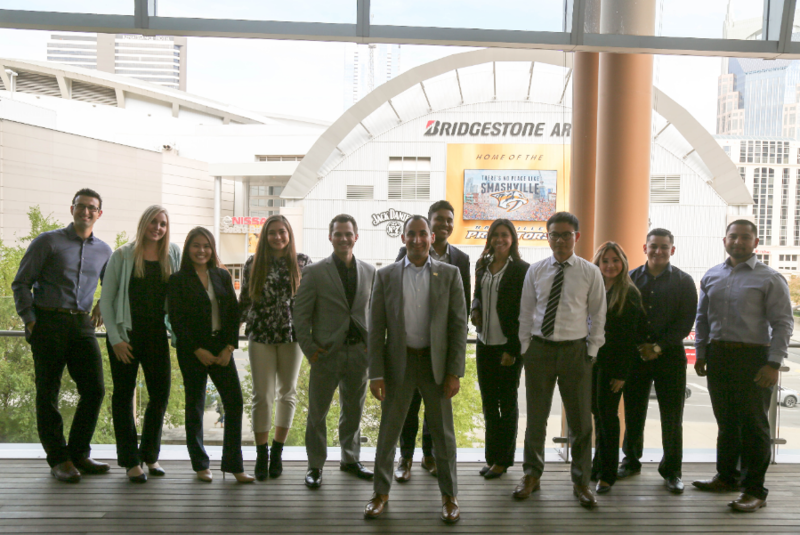 David Nanigian, director of the Personal Financial Planning Program, and students outside the Bridgestone Arena in Nashville, Tennessee, at the FPA Annual Conference. 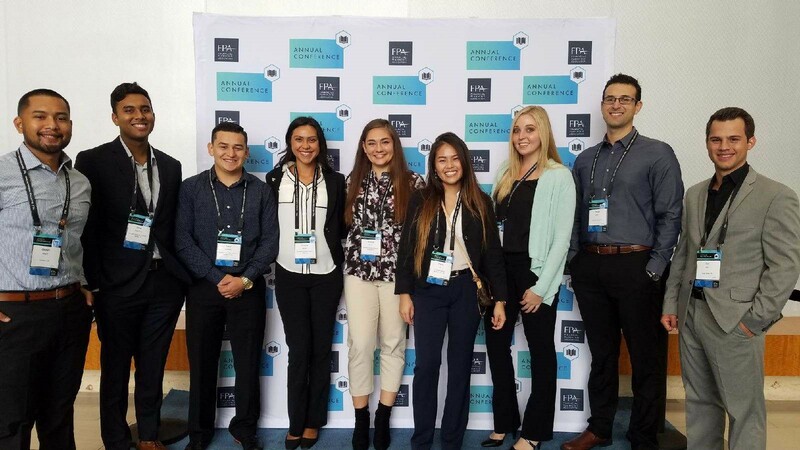 For Mihaylo College’s Personal Financial Planning Program, a highlight of the past academic year was a student visit to the Financial Planning Association Annual Conference, the largest gathering of Certified Financial Planner™ professionals in the world. This opportunity was made possible through a $25,000 grant from the Orange County-based McBeth Foundation. Cal State Fullerton personal financial planning students joined more than 2,000 certified financial planners (CFP®) in Nashville last October for the Financial Planning Association (FPA) Annual Conference, providing networking opportunities with industry leadership and exposure to domestic and international speakers who are defining the field. The visit to the conference was made possible by a $25,000 grant from the McBeth Foundation, which funds individuals and groups who are making an impact on their communities in Southern California. Named after the late Laguna Beach philanthropist Barbara McBeth Woodruff, an artist and farmer who spent her life in Orange County and Phoenix, the foundation has previously funded such leading California organizations as the San Diego Zoo and the South Coast Symphony. Mihaylo College Associate Professor of Finance David Nanigian, director of the Personal Financial Planning Program, says the exposure and experience that students gained at the three-day FPA Conference will have a significant impact on their academic and professional future. Workshops at the conference covered such topics as sustainable spending for retirement, the financial implications of divorce, global case studies, health savings accounts, the impacts of health and tax reform, succession planning, women and wealth management, strategies for family enterprises, cybersecurity, philanthropic giving trends, and financial planning for immigrants. Mihaylo College personal financial planning students networked with financial planning professionals and their counterparts from universities nationwide at the FPA Annual Conference. Victoria Martinez ’18 (finance), one of the student attendees of the FPA Conference, says participating will not only impact her future, but also her clients as she enters the financial planning profession. A recent graduate of the Personal Financial Planning Program, Martinez’s short-term goal is to take the certified financial planner exam. “I recently received a great opportunity to work at a CPA firm in Irvine, although it is not in the specific area of financial advising I plan to be in,” she says. “But I want to be open-minded and expand my knowledge in plans to become a licensed CFP and potentially furthering my education in accounting and finance,” she says. For more on Mihaylo College’s Personal Financial Planning Program, please visit their website.